Puigdemont: "This is a European problem. And Europe cannot look the other way"
Catalan leaders came to the heart of the EU on Tuesday (24 January) to appeal for political support for an independence referendum they plan to organise this year. "At the latest in September 2017, Catalonia will hold a binding independence referendum," said Carles Puigdemont, the president of Catalonia's government, in a speech at an event in the European Parliament. Puigdemont was in Brussels with his vice-president Oriol Junqueras and foreign minister Raul Romeva in an effort to set the European agenda on Catalonia at the start of the year, a Catalan official told EUobserver. He said that Catalan separatists needed to make their voice heard in the EU because the terms of the debate were usually set by the Spanish government. "This is a European problem. And Europe cannot look the other way," the Catalan leader said in his speech. 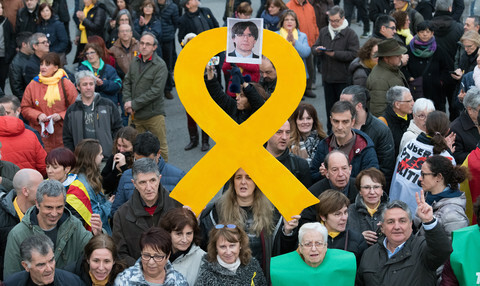 Puigdemont, Junqueras, and Romeva did not hold official talks with EU officials, but spoke in the EU parliament to appeal for EU support for the referendum in the hope that the Spanish government would bow to pressure to accept a political dialogue and subsequent vote. So far, the Spanish government of prime minister Mariano Rajoy has said that a referendum on independence would be illegal. Next month, former Catalan leader Artur Mas will be face a court verdict for organising a consultation on the issue in 2014. "We expect respect for democracy from the EU, for the votes of citizens and for democratic instruments, and a referendum is a democratic instrument," Junqueras told EUobserver in an interview. The Catalan vice-president said that the government was "convinced that [it] can win the referendum" and that Catalonia can become an EU member "as a new republic in a process of internal enlargement of the EU". "We are members of the European Union, we are European citizens and this process to incorporate Catalonia in EU institutions has to be automatic," he said. He dismissed concerns that breaking up Spain at the time of Brexit and wider geopolitical uncertainties would create a crisis. 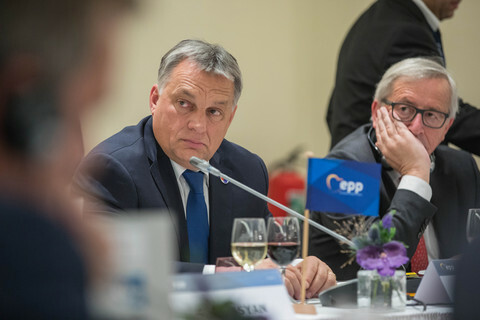 It would be "good news for the EU to have a society that is as pro-European and federalist as ours" joining the union, he said. "It would be an opportunity to make a stronger Europe, a stronger democracy. It would be a guarantee for the rights of citizens in social, economic and political issues," he added. "We think it is a way that Europe can follow if European institutions want to be closer to citizens," he said. "Democracy is always the way." Junqueras, who holds the economy and treasury portfolio in the government, also dismissed concerns that an independence vote would threaten Spain’s economic recovery as well as Catalonia's growth - 3.4 percent in 2016. "We've been in this process [towards independence] for several years and we have record exports, record foreign investment and record tourism," he said. "It's not true that democracy is a cause of uncertainties". The government's vice-president insisted that the independence bid was "the extreme opposite to Brexit". 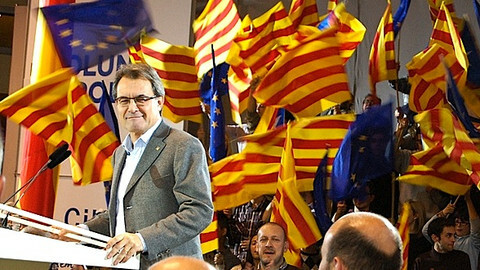 Catalonia, he said, "wants to be a member of the EU. It wants more powerful common institutions, a more powerful commission or a common treasury to make the euro sustainable." Junqueras did not want to say whether his government was working with Scotland, which could also organise an independence referendum next year if it cannot remain in the single market after the UK leaves the EU. 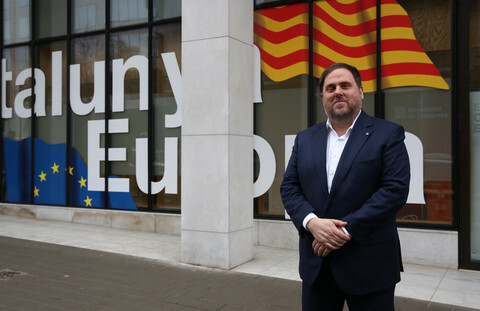 "We respect the democratic way followed by the Scottish people," said Junqueras, whose party, the Republican Left of Catalonia, belongs to the same EU parliament group, the European Free Alliance, as the ruling Scottish National Party. He noted that Scotland and Catalonia "work with the same goal”, but in a "parallel process" which amounted to “good news for the EU". He said Catalonia wanted to "negotiate and work with EU institutions to have as much stability as possible" if the region choses to become independent. In his EU parliament speech, Puigdemont also insisted that "if Catalonia becomes a new state, it will do so in the framework of the European Union". 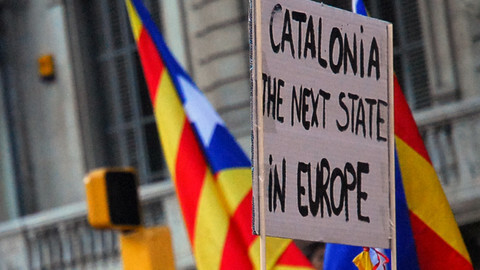 "The first steps of the Catalan Republic will be taken according to the European rules. We do not consider any other scenario," he said. The Catalan leader focused on the legal and moral right to vote on the region's future more than he defended the independence option itself. 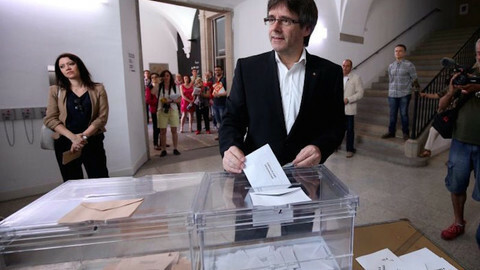 He said that 80 percent of Catalans were in favour of calling a referendum and that 83 out of the 135 Catalan MPs elected in 2015 were either separatists or in favour of holding a popular vote on the issue. The independence vote, which could be held before summer, will be preceded by a set of laws to be passed through the Catalan parliament to "prepare the structures and legislation that a state needs to act as an independent country" within the EU, he said. He said that the transition to eventual independence would take place "in an orderly manner, with legal certainty and with the maximum guarantees." For the Catalan leadership, the main obstacles to the vote are the opposition of the Spanish government, the legal representative of an EU member state. Speaking to EUobserver, a source close to the Catalan government admitted that the EU is "a club of member states" and that it was unlikely to put Barcelona’s interests before those of Madrid. But he said that the Catalan government hoped that some EU leaders would discreetly advise Rajoy to stop "reading the [Spanish] constitution like the Qoran, like a dogma" and to open talks. Spanish sensitivity to the Catalan issue could be felt in Brussels on Tuesday. The vice-president of the centre-right EPP group in the EU parliament, Esteban Gonzalez Pons, wrote to his colleagues to ask them "as a friend" not to attend the Catalan event. He said that it would create the "false impression" that the parliament supported "this call for an illegal referendum". Rajoy is also a member of the European People's Party, the group which currently holds the presidencies of the EU parliament, the European Commission, and the EU Council. 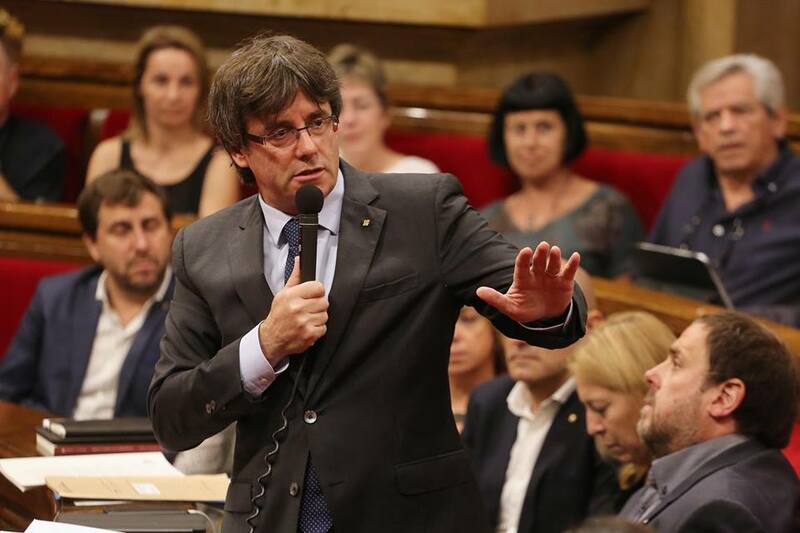 Puigdemont in his speech said that he wanted the referendum to be agreed on with the Spanish government. 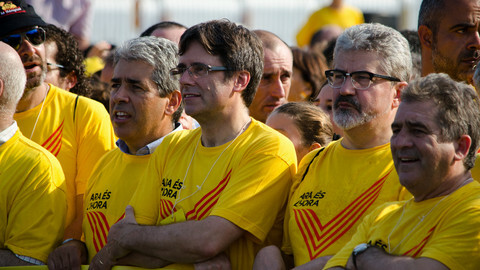 For now, the Spanish government "always says no, no, no," vice-president Junqueras told EUobserver. 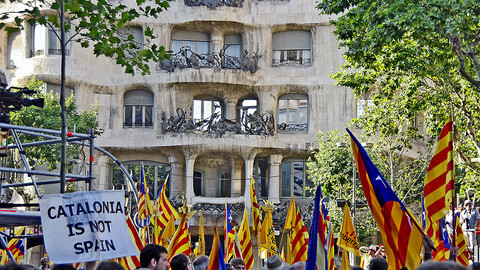 "It says to the linguistic question, no to questions about taxes [that Catalonia wants to levy]. No democracy. No vote. It's very difficult to speak with the Spanish government," he said. 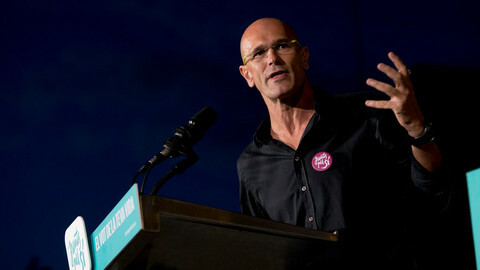 "The Spanish government is very far from democratic practices in Europe," he added. For Junqueras, "the best way to have the best possible relationship with Spain is between states that are equal in freedom." He said that economic, emotional and linguistic links between the two entities would be "the best stimulus for Spain to accept the continuity of Catalonia in European institutions". But in a democratic environment, the Catalan leaders cannot force Madrid to accept their referendum claim without some external support. Their Brussels PR operation on Tuesday will be followed by more appeals to the EU in the hope for positive signals. "If not, what is the way?" Junqueras said. Carles Puigdemont has promised “to start the process to set up an independent state in Catalonia”.